Microsoft Unveils Azure Cosmos DB, A New Multi-Model DB — An Azure-based globally-distributed multi-model database built for low latency, elastic scalability, and high availability. RediSQL: A Redis Module That Embeds SQLite — Provides a way to get a SQLite server on the cheap and it can serve many 10,000s of queries per second. 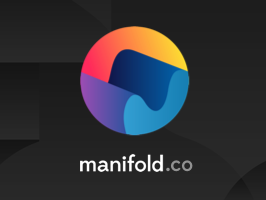 Manifold is your hub for amazing developer services — Why waste time managing your own database? Sign Up for Manifold and manage all your services with a single account. We have awesome partners like JawsDB and RedisGreen — so you can get started today with Redis, Postgres, MySQL and even MariaDB. Microsoft Launches Azure Database for MySQL and Postgres — While Cosmos DB (above) is Microsoft’s big database news of the week, most developers will find their MySQL and PostgreSQL offerings of more immediate use. What Are Graph Databases and Why Should We Care? — This hour long talk goes quite deep on understanding the graph database ecosystem from stores such as Neo4j and OrientDB to processing frameworks like GraphX. A Dive Into Spatial Search Algorithms — The art of searching through millions of points in an instant. Detecting Abuse at Scale with Locality Sensitive Hashing — How Uber uses Locality Sensitive Hashing on Apache Spark to reliably detect fraudulent trips at scale. Optimizing Memcached Efficiency at Quora — Quora uses memcached heavily to speed up operations and has just released a new tool called mcinspector for analyzing its memory use. Migrate your deployment from mLab or Compose and get $100 in credit — With MongoDB Atlas' Live Import utility, you can migrate your entire deployment with no downtime. Nitrite: An Embedded NoSQL Database for Java and Android — An open-source NoSQL embedded document database with a MongoDB-like API. TiDB Brings Distributed Scalability to SQL — TiDB supports the MySQL protocol, making it easy to adopt.